Double J Fencing is a fully-licensed, bonded, and insured veteran-owned company. We are listed as a vendor for the Federal Government in the SAM's system and registered as a vendor for the Montana State Government. 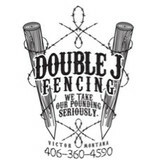 Over a short period of time, Double J Fencing, Inc. has become one of the largest fencing companies in the state of Montana. Once you've seen our product and met us in person for a consultation, we are certain you will choose Double J Fencing, Inc. for your next fencing project. Your Bonner, MT fence installation and repair professional will work with you to create your ideal fence. 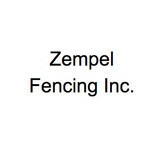 Find a fence contractor in Bonner, MT on Houzz. Narrow your search in the Professionals section of the website to Bonner, MT fence contractors. You can also look through Bonner, MT photos to find examples of fencing and gates that you like, then contact the professional who worked on them.